please contact our test administrator at 1-888-519-9901. Q: Who is eligible to take the exam? 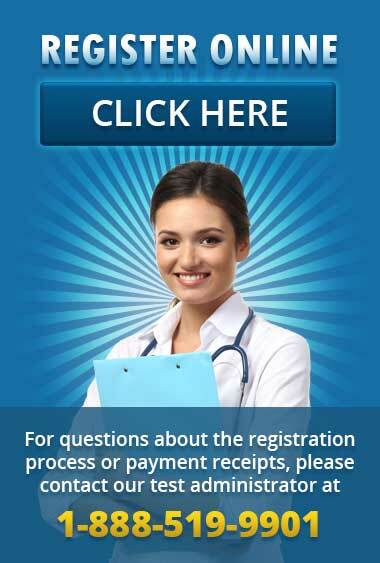 A: Currently licensed or credentialed health care professionals are eligible. For a complete list, check out the exam information and registration page on the website. If an individual is not a licensed or credential health care professional, they are eligible to take the exam by providing direct patient asthma education, counseling, or coordination services with a minimum of 1,000 hours experience in these activities. This is verified through a letter from a supervisor. Q: How do I prove that I have 1,000 hours of experience? A: The NAECB reserves the right to verify eligibility of candidates. Everyone applying under the 1,000 hour provision should be prepared to document their experience with notarized letters from their supervisors. The Board will also verify licenses and credentials of health care professionals. Q: I am interested in taking the exam, however, I cannot afford to pay the fee. Is there any financial help? A: The scholarship was created to provide assistance for individuals pursuing their national asthma educator certification. The award is named after Linda B. Ford, MD, the first chair and a founding member of the NAECB, the first and only U.S. organization to provide a national certification examination for asthma educators. Q: Is the exam offered outside of the United States? A: Individuals who reside outside the United States may apply to take the examination to achieve the AE-C credential. Persons who are interested in achieving the credential should access the following link so they may observe the list of international testing sites. http://www.goamp.com/displayTCList.aspx?pExamID=20653 Choose “International Only” from the “Country selection” menu after the webpage loads. The list is kept current with the sites at which the AE-C Examination can be administered. A proctor who ensures standardized testing conditions supervises each administration. Q: Where can I get a list of current asthma educators state to state? A: You may contact your local Lung Association at 1-800-LUNG-USA or the Association of Asthma Educators at 1-888-988-7747. Q: Does the Board offer study materials or suggest reading materials? Q: Where can I find preparatory course for the exam? A: As a certifying body, the National Asthma Educator Certification Board (NAECB) is prohibited from being involved in any kind of course related to the examination, either through promotion, development or execution of the course. Board members of the NAECB do not participate in any review courses. You will need to contact professional organizations such as the American Lung Association, American Association of Respiratory Care, Association of Asthma Educators, National Respiratory Training Center and other organizations like our sponsors and stakeholders for information regarding courses. Q: If I wanted to volunteer my services to the National Asthma Educator Certification Board whom should I contact? A: Volunteers can either serve on board committees or can submit an application for a position as a Director. Nominations are requested each year for these positions with a deadline in mid-summer. The final nominees are chosen through a vote by the certificants in November with the term of office beginning the following January. To access the recent nomination form, visit the announcements page. Check out these other volunteer opportunities. I am unable to open the information regarding the test. I would like information on the handbook and testing categories.Perhaps a friend or associate can download the information for you. Many libraries have public computers/website access available. To register online, click here. Q: I need a copy of my receipt in order to receive reimbursement from my employer. A: For information regarding your registration, payment information, or testing date, please contact PSI by phone at 888-519-9901 or by email at info@goAMP.com. Q: How was the exam developed? A: The exam was developed over 18 months and is based on a national job analysis. The matrix is a result of the national job analysis and is based on sound scientific evidence for development. The difficulty of the test is accounted for in the final cut score determination. To find out how the test is scored, click here. Q: Are the sample items in the candidate handbook supposed to be a practice test? A: The sample items in the candidate handbook are only examples to demonstrate the cognitive levels (i.e. recall, application, and analysis/evaluation) of questions on the AE-C® examination. 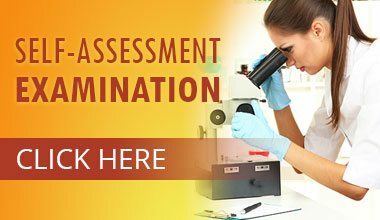 Candidates are encouraged to review the examination matrix in the candidate handbook for a comprehensive list of the test’s content and to assess their study needs prior to taking the examination.